Students making poster presentations during the 2018 Colorado Springs Undergraduate Research Forum April 28. Undergraduate and graduate students across multiple disciplines will showcase their research work during the 10th Annual Mountain Lion Research Day Nov. 30 at the Gallogly Events Center. The deadline to submit abstracts is Nov. 16. New at this year’s event is the Top Scholar Poster Award Competition awarded by the Faculty Research Council. The honor will recognize student poster presentations characterized by excellence in scholarship, clarity in visual and oral presentation, and demonstrated knowledge in a discussion with the judges. Chris Bell, associate professor of communication, and Kathrin Spendier, assistant professor of physics, will deliver their keynote address “Journey of a Faculty Scholar” at lunch during the research day. RSVP is requested by emailing oor@uccs.edu. The 10th Annual Mountain Lion Research Day serves as the inaugural event for the academic year for student research showcases. Registration closes Nov. 16 for the Three Minute Thesis competition for graduate students with preliminary rounds Jan. 28-29 and the finals Feb. 1 in Berger Hall. 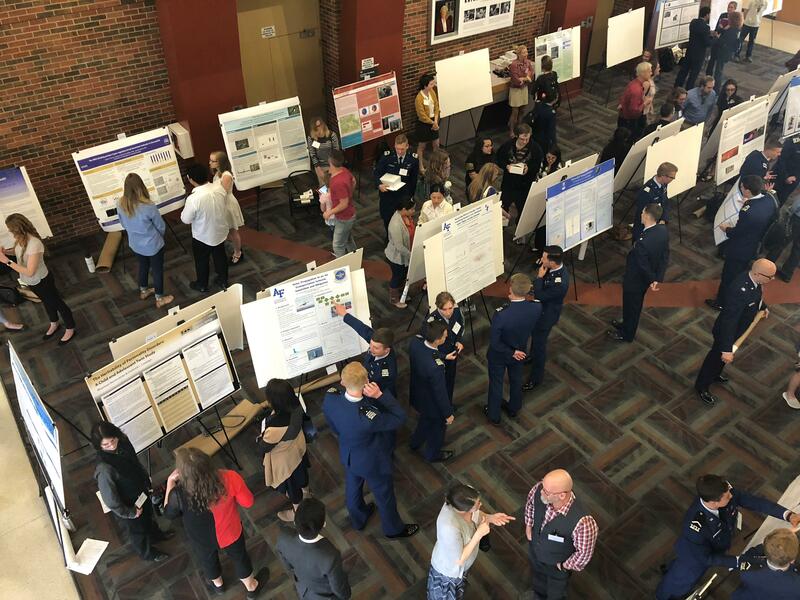 UCCS will host the 16th Colorado Springs Undergraduate Research Forum in collaboration with Colorado College and the U.S. Air Force Academy April 6. The third Graduate Student Research Showcase will take place May 3 in the Gallogly Events Center.